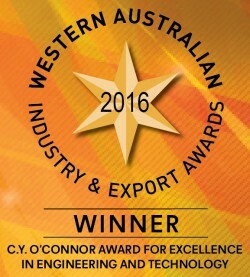 PERTH, Western Australia (31 October 2016) – acQuire Technology Solutions was awarded by the judges of the 2016 West Australian Industry and Export Awards for both the Digital Technologies category and the C.Y. O’Connor Award for Excellence in Engineering and Technology. 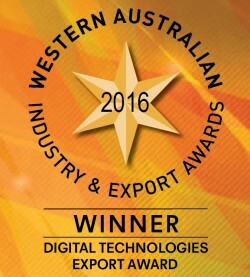 The Digital Technologies WA Export Award recognises outstanding international success in the field of information and communication products, technology or services that are concerned with the storage, retrieval, manipulation, transmission or receipt of digital data including software and games. The C.Y. O’Connor Award for Excellence in Engineering and Technology recognises excellence in engineering, technology, medical technology, information technology and/or technical research and development. 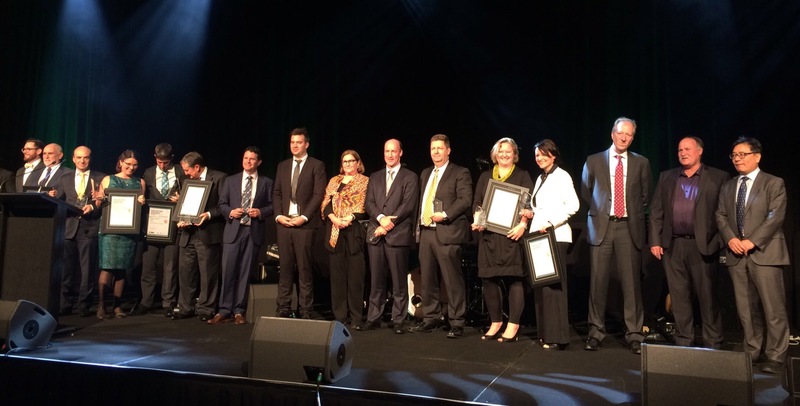 At the prestigious gala dinner at Crown Perth on Friday, 28 October, acQuire managing director, Alison Atkins said, “We’re honoured to receive awards in both these categories, especially as 2016 marks our 20th year in business“. “It is gratifying to be recognised for our international success, amongst the other high calibre businesses here tonight“. Since 1996, acQuire has developed Geoscientific Information Management (GIM) software solutions for the natural resources industries, focusing on exploration, resource development and mining assets. The awards pay tribute to acQuire’s innovative international business model and market-leading enterprise software used by the largest resources companies in the world. Despite operating in the current volatile market, experiencing declining commodity prices and contraction in spending throughout the mining industry, acQuire’s export sales revenue increased by 17% in 2015/16 with 68% of the company’s total sales revenue coming from international markets including Canada, Chile, USA, Brazil and South Africa. In 2015/16 the acQuire GIM Suite was implemented into new sites in North America, South America, Europe and Africa. New technology and consultant partnership programs, such as the Nova Network, were also launched globally. acQuire continues to maintain and target its international markets through an innovative, values-based business model, brand and product strategy and continual research and development. 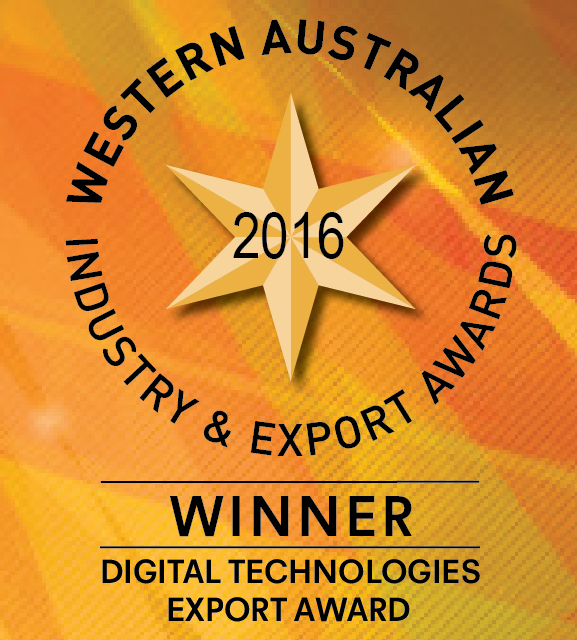 acQuire will now head to Brisbane as national finalists in Digital Technologies for the Australian Export Awards Ceremony on 24 November. 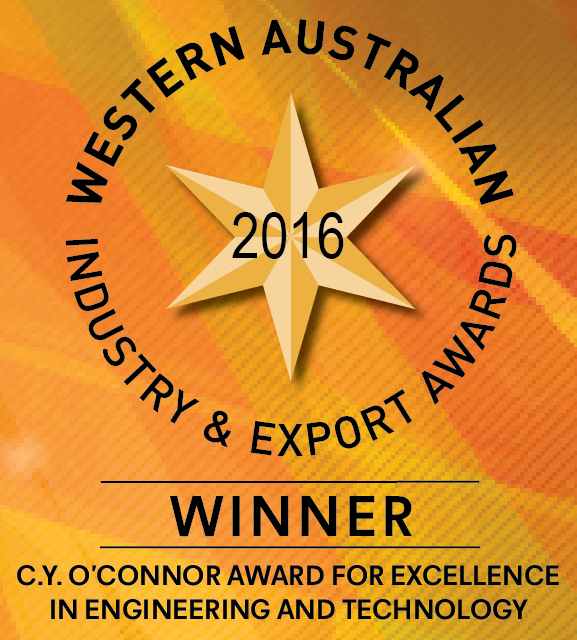 The WA Industry & Export Awards is an annual program which aims to recognise excellence in the export of goods and services by WA business. The Awards acknowledge the important contribution of businesses to the economy through job creation and increased prosperity for the community and for the state. This year, the WA Industry and Export Awards are managed by the Export Council of Australia on behalf of the WA Department of Commerce and supported by many sponsors.